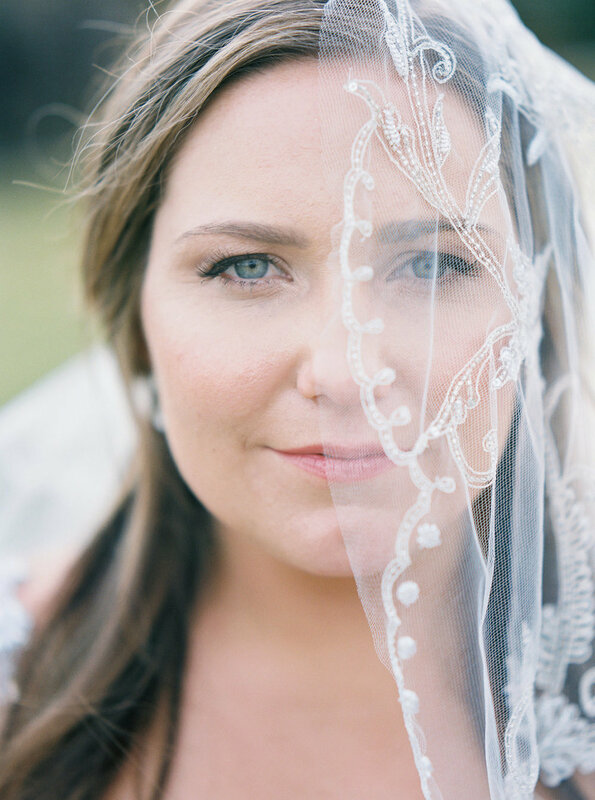 Brittney and Alex were high school sweethearts who wanted to make their wedding weekend a memorable one for close friends and family. 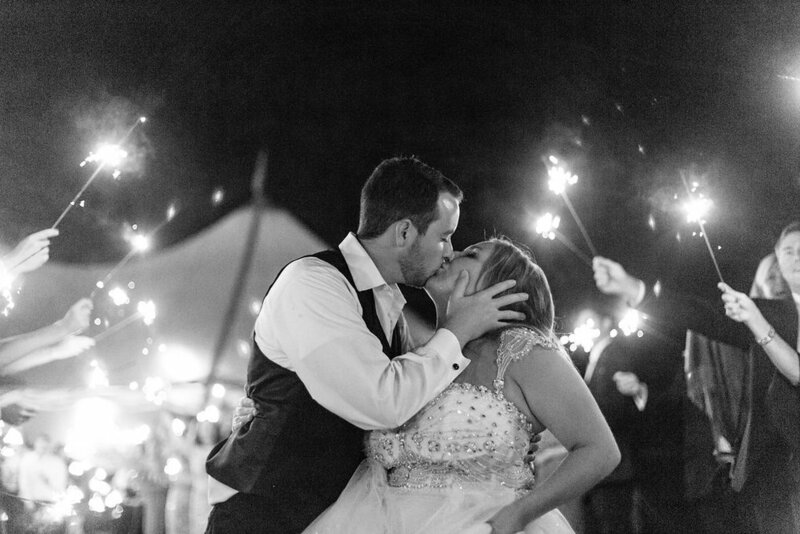 because they grew up summering at lake keowee with their families, a lakeside ceremony + celebration seemed the perfect place for this couple to tie the knot. 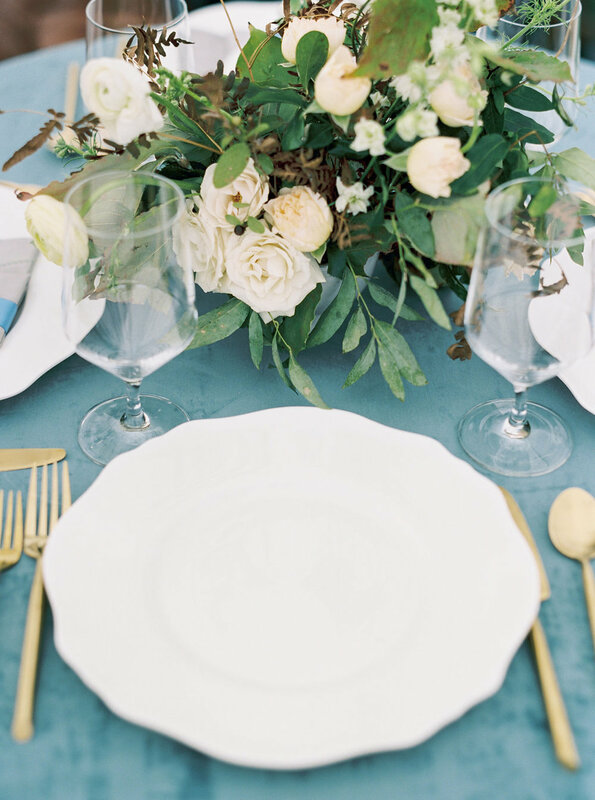 Brittney's color inspiration came from the beautiful surroundings - she wanted a neutral palette, but with touches of golden yellow and cool blue. 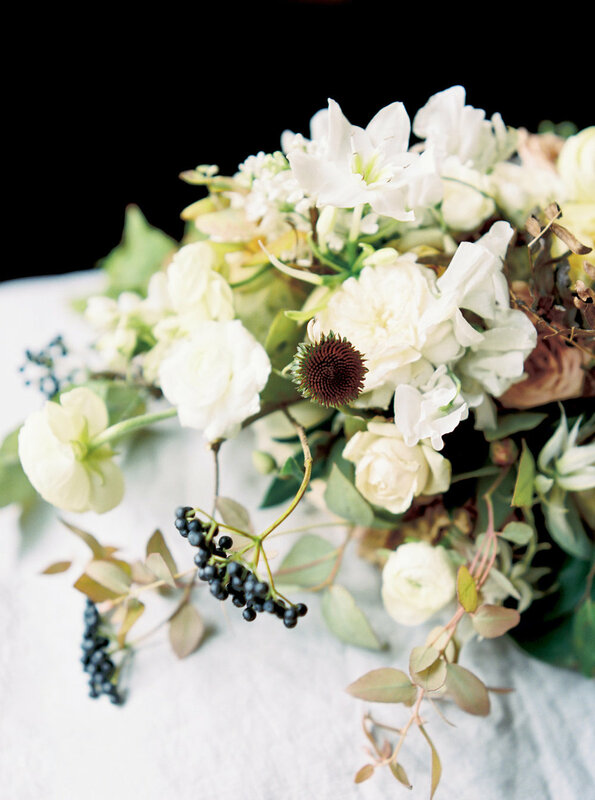 We used viburnum berry, caramel antique roses with touches of cappuccino roses, autumn eucalyptus, and echinacea to bring in earth tones that were found throughout the lakeside landscape. 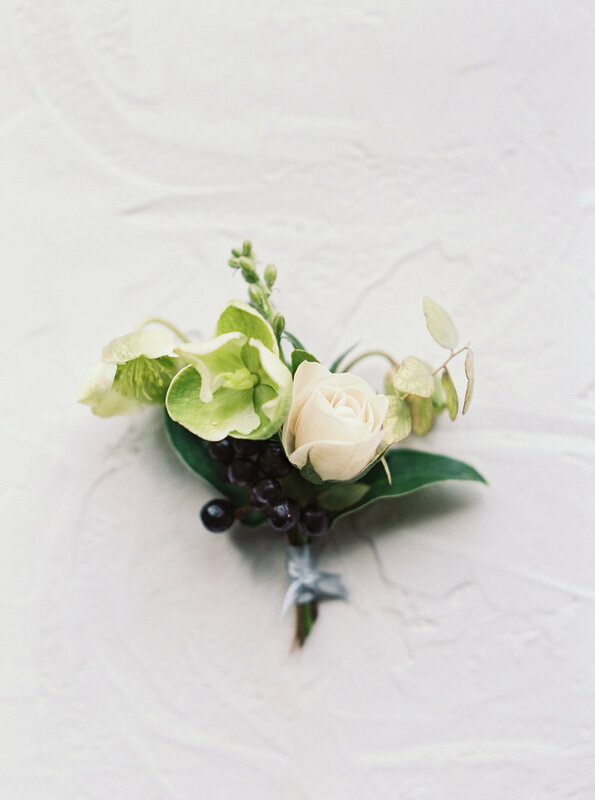 Our team also foraged a beautiful dried fern that added the perfect neutral color + texture. 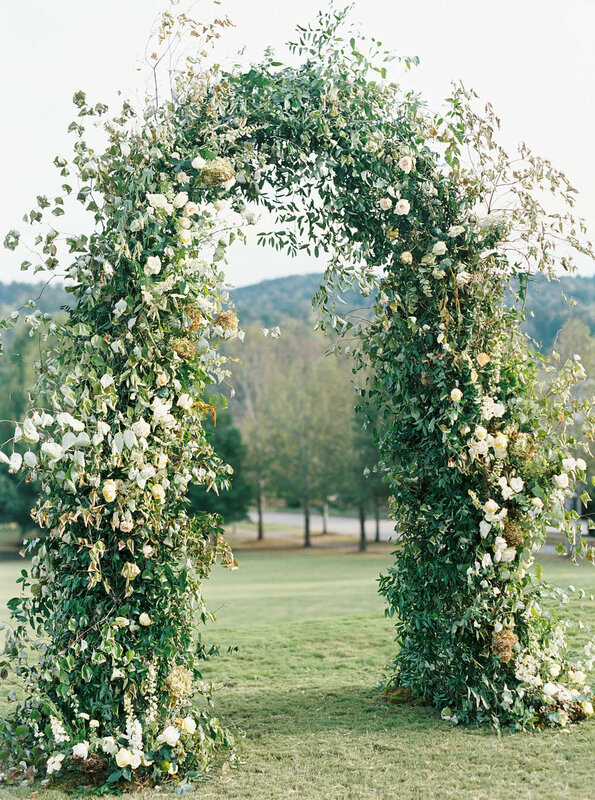 To further help the wedding feel cohesive with the environment, we built a stunning ceremony arch to perfectly frame the gorgeous lake backdrop + an organic floral canopy over the head table for the reception. 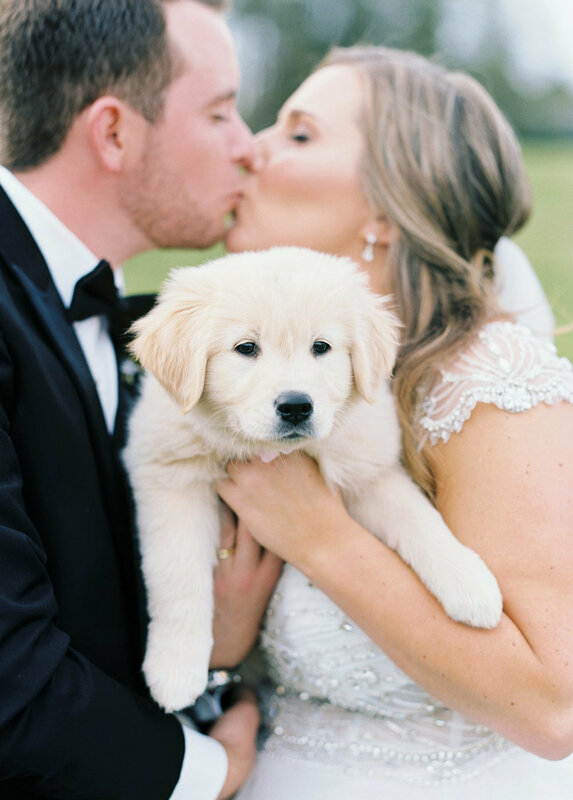 A highlight for our team was meeting the adorable puppy that alex gifted brittney after their ceremony! the day turned out beautiful because of our amazing team - Thank you to our wonderful team that made it happen - congrats, Brittney + alex!